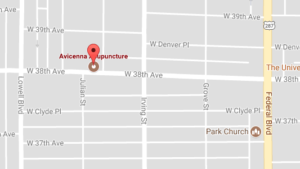 Join our team at Avicenna Acupuncture in getting ready for spring in a BIG way. 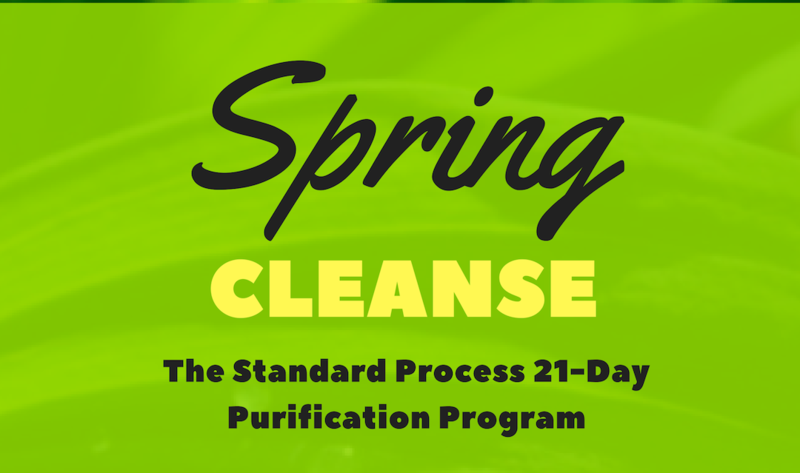 The Standard Process 21-Day Purification Program will start March 1st and will go through March 21st, 2019. This 21-day purification program includes eating whole, organic and unprocessed foods; taking supplements with whole foods and other ingredients; and drinking plenty of water. You will eat a variety of vegetables and fruit for the first 10 days, with select proteins added on day 11. Purify your body from toxins! It’s designed to purify, nourish and help patients maintain a healthy body weight by eating whole foods, exercising, drinking nutritious shakes and taking supplements made with whole food and other ingredients. Along with Standard Process supplements, you will support your major organ systems with the vitamins, minerals and other nutrients found in whole foods. The menu includes a varied abundance of fresh vegetables and fruits for the first 10 days, with select proteins added on day 11. The supplements support the body’s ability to remove naturally occurring toxins. This promotes a state that allows for toxin release. We will help you select a customized purification kit (gluten free and vegetarian) to best suit your needs. The purification app will help you stay on track and we will support you all the way within our Facebook Group. 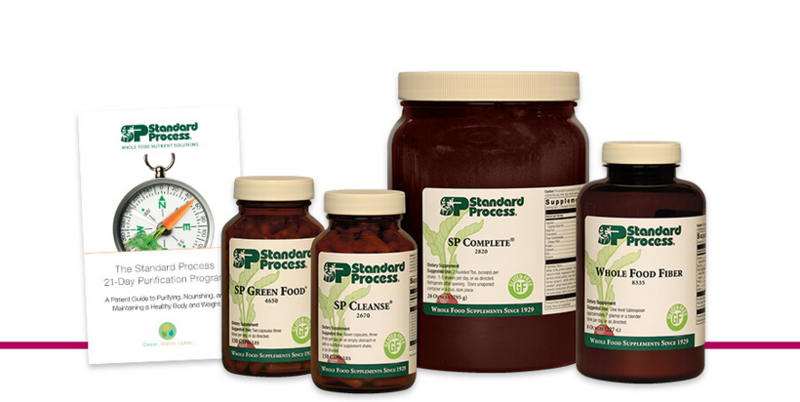 Standard Process is a Wisconsin-based family-owned company dedicated to making high-quality and nutrient-dense therapeutic supplements for three generations. They apply a holistic approach to how to farm, manufacture and protect the quality of the products. This comprehensive approach ensures that the clinical solutions deliver complex nutrients as nature intended. It’s how Standard Process defines the whole food health advantage. To participate, get in touch with us and click the button below! Looking forward to doing this cleanse with YOU!